Welcome in to a special Sunday evening edition of Jah Works Radio. 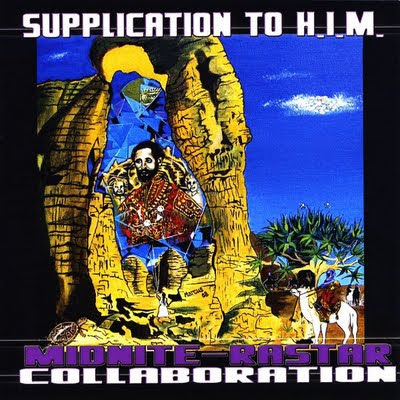 Giving thanks and meditation is the order of the day, as we journey through the sounds of Midnite, Johnny Clarke, Dave Robinson, Jr Byles, Dennis Brown, Warrior King, Gentleman, Cornador, Gappy Ranks, J Lee, Jah Mali, Mr. Lynx, Bitty McLean, Tarrus Riley and U Roy, Lloyd Robinson, Earl Zero, Mighty Diamonds, Sugar Minott, Lone Ranger, Desi Roots, Alpha Blondy, Groundation, Carlene Davis, Bunny Rugs, Courtney John, Luciano, Garnett Silk, Roots Radics, Glen Washington and more. This entry was posted on February 18, 2014 at 11:04 pm and is filed under Downloads, Podcasts, Radio Shows with tags Africa Reggae Podcast, Africa Reggae Radio, Dennis Brown Radio, gospel reggae podcast, gospel reggae radio, Midnite Radio, Midnite Reggae Podcast, Midnite Reggae Radio, One Love Radio, Rasta Podcast, Rasta Radio, Rastafari Podcast, Rastafari Radio, Reggae Podcast, Roots Reggae Podcast, Tarrus Riley Radio. You can follow any responses to this entry through the RSS 2.0 feed. You can leave a response, or trackback from your own site.